There are four DNA tests which reputable breeders do to ensure that they will not produce pups that will suffer from 3 eye conditions and a neurological disorder. The results of these will be clear, carrier or affected. It is essential that if carriers are bred they must only be mated to clears. We have had DNA tests for up to five years now so there is no reason for any breeding dog not to have a known DNA status for each of these four conditions. Breeders have been hip scoring for many decades the average score at present is around 11-12. The lower the score the better the hip. The higher the score the worse the hip. 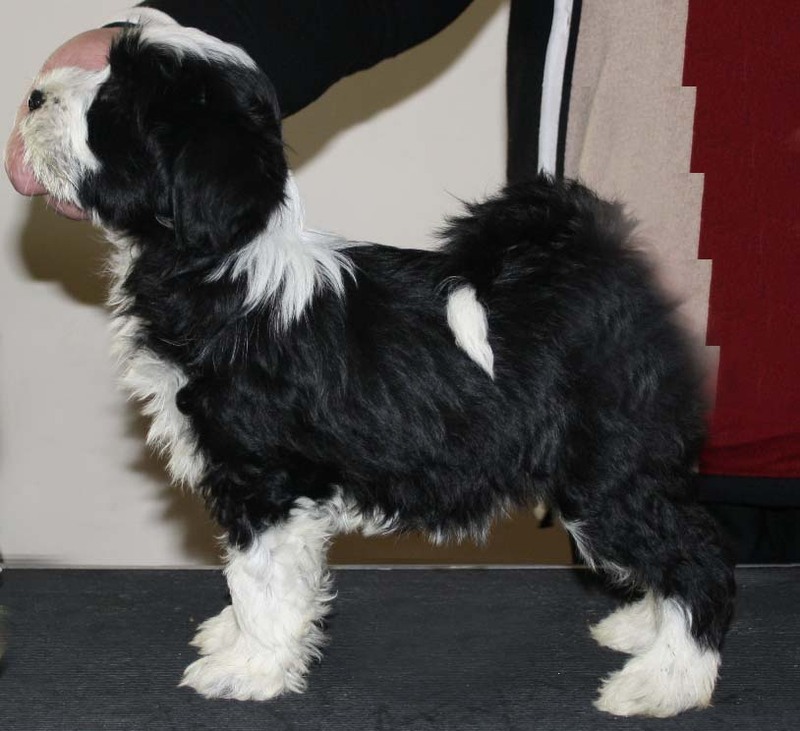 We also have an EBV for each dog which gives an indication of the genetic component of the dogs hip structure. An EBV of 0 is average - minus values are better than average, and plus values are worse than average. It is also important to look at the puppy's coefficient of inbreeding. This tells you what the risk is of the puppy inheriting two copies of a gene which may give rise to an inherited condition in the future. The average COI is 7.6%. Higher than this is a greater risk, lower than this reduces the risk. Each parent should have an annual eye certificate, which as its name suggests has to be renewed annually. Prospective puppy purchasers should discuss these tests with the breeder and ask to see the certificates. All these results are published by the Kennel, and the prospective owner can find them on the KC web site under Health Test Results. They will need the KC registered names of both parents to access these results. 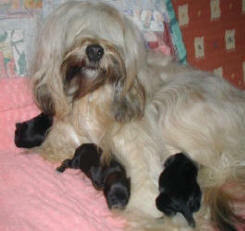 There are no laws in place governing the health tests that breeders carry out. 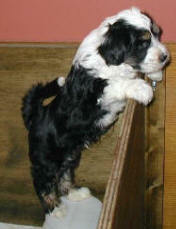 However, I would encourage you to purchase puppies from adults that have had all appropriate health testing i.e. AHT Genetic Test for PLL, PRA-3, and RCD-4 also the AHT or OFA Genetic Test for NCL, Yearly BVA(KC) Certified Eye Examinations, and Certified Hip-Scoring under the BVA (KC) Scheme. DNA profiles are also available to breeders through the K C.
have been hip scored under the KC & BVA schemes, and have DNA Profiles. Since October 2009, when PLL Genetic Testing became available, all parents are tested. Since the DNA test became available in America all parents are also screened for NCL. PRA-3 and RCD-4 DNA screening is now also available and my dogs have all been tested. Siddhartha puppies have always been sold with the breeding endorsement ‘Not to be bred from’. Please see the Puppy Contract for conditions required to have endorsement lifted. Veterinary before being placed at a minimum age of twelve weeks. 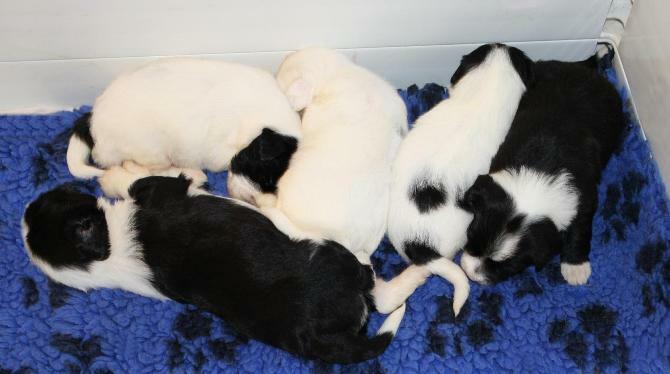 All Siddhartha puppies are micro-chipped for permanent identification, and also registered with the I.K.C. This tiny chip contains a unique number, which can then be registered by any of several animal recovery databases identifying the owner. This number will remain with your dog for its entire life. It cannot be altered or changed. It will identify that particular dog much as our PPS number does us. Your Siddhartha puppy will come with a certification of implantation, which will contain the number forever assigned to your dog. The number will also appear on your IKC registration papers, and also your contract and your puppy's vaccination record. 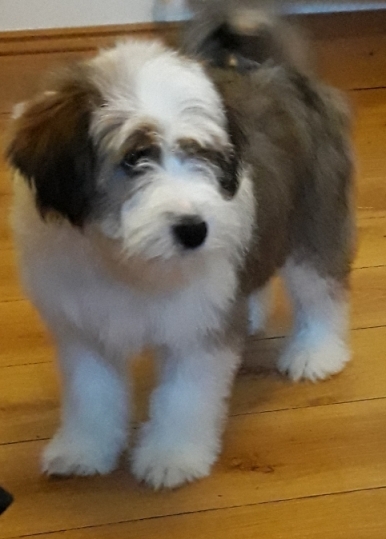 This number, with you as owner, and myself as breeder will have been registered with the national recovery database Animark before your puppy leaves us. This will enable you to be contacted if your dog is ever lost and found, and I can also be contacted. Nametags attached to collars though helpful in identifying dogs can often be lost or removed. This implanted chip cannot. It is chip about the size of a grain of rice, which is totally inert and is encased in biocompatible glass. It is inserted just under the skin between the shoulder blades using a syringe. A handheld scanner can then read its unique, encoded, unalterable number. Most shelters and many veterinarians have scanners available to read these implanted microchip numbers. It is the first step in identifying the dog’s owner. Animal recovery associations can then be contacted. Their database can supply the name and location of the registered owner. 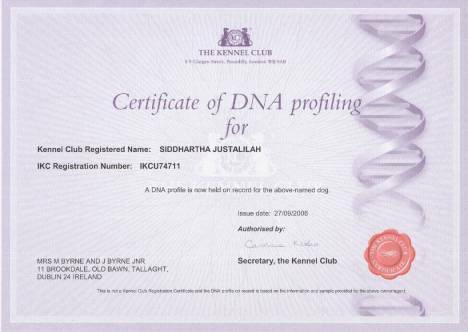 All breeding stock at Siddhartha have DNA Profiles. Siddhartha are proud to participate in the KC DNA Profiling Program. Through the KC’s efforts in continuing the tradition of providing rigorous standards of registry, we are able to benefit by adding certified authenticity to our breeding program. As with so many other species, DNA has been discovered which can uniquely identify dogs. They can be identified not only by breed, but by the individual dog as well. Its parents equally contribute each form of a dog’s gene allele randomly. These combinations can be analyzed and with the DNA knowledge of one or more parents, proof of offspring can be determined. DNA collection is non-invasive and painless for the dog. It does not require blood samples, but rather a collection is taken of cells using a cheek swab. The KC issues a certification with analysis of each dog’s unique DNA profile. This profile will become forever part of the dog’s permanent KC record. The profile number will appear in future KC registration certificates and hopefully some day soon the IKC registration certificates. DNA testing is the way forward. As databases grow, and with increased knowledge of gene contribution, we will soon be able to identify potential disease and breed disorder carriers, or producers. Hopefully one day, in the not too distant future, we will see the elimination of genetic disorders which have plagued many breeds. We are very happy to be a part of this important step forward. We just want a pet! This is one of the most pervasive sentiments that puppy buyers, especially families, express when they're looking for a dog. What they really mean, of course, is that they don't want a show BREEDER – don't want to pay the high price they think show breeders charge, don't want to go through the often-invasive interview process, and think that they're getting a better deal or a real bargain because they can get a Tibetan Terrier for a few hundred euro or a Lab for even less. I want you to change your mind. I want you to not only realize the benefits of buying a show-bred dog; I want you to INSIST on a show-bred dog. And I want you to realize that the cheap dog is really the one that's the rip-off, and then I want you to go be obnoxious and, when your workmate says she's getting a puppy because her neighbor, who raises them, will give her one for free, or when your brother-in-law announces that they're buying a Goldendoodle for the kids, I want you to launch yourself into their solar plexus and steal their wallets and their car keys. Here's why: If I ask you why you want a Maltese, or a Lab, or a Leonberger, or a Cardigan, I would bet you're not going to talk about how much you like their color. You're going to tell me things about personality, ability (to perform a specific task), relationships with other animals or humans, size, coat, temperament, and so on. You'll describe playing ball, or how affectionate you've heard that they are, or how well they get along with kids. The things you will be looking for aren't the things that describe just "dog"; they'll be the things that make this particular breed unique and unlike other breeds. That's where people have made the right initial decision – they've taken the time and made the effort to understand that there are differences between breeds and that they should get one that at least comes close to matching their picture of what they want a dog to be. Their next step, tragically, is that they go out and find a dog of that breed for as little money and with as much ease as possible. You need to realize that when you do this, you're going to the Used Car Dealership, WATCHING them pry the "Audi" plate off a new car, observing them as they use Gorilla Glue to stick it on a '98 Corolla, and then writing them a check and feeling smug that you got an Audi for so little. It is no bargain. Those things that distinguish the breed you want from the generic world of "dog" are only there because somebody worked really hard to get them there. And as soon as that work ceases, the dog, no matter how purebred, begins to revert to the generic. 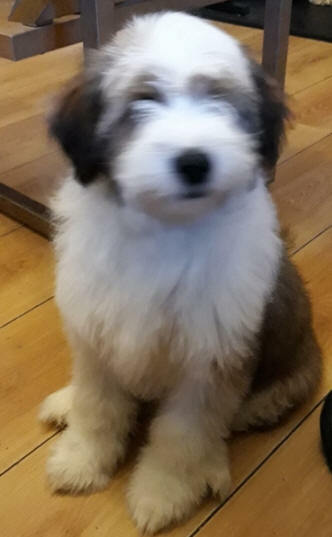 That doesn't mean you won't get a good dog – the magic and the blessing of dogs is that they are so hard to mess up, in their good souls and minds, that even the most hideously bred one can still be a great dog – but it will not be a good Shepherd, or good Puli, or a good Cardigan. You will not get the specialized abilities, tendencies, or talents of the breed. If you don't NEED those special abilities or the predictability of a particular breed, you should not be buying a dog at all. You should go rescue one. That way you're saving a life and not putting money in pockets where it does not belong. Lack of sleep from worry feeling all stressed out and torn. Never felt the heartache, holding a pup in my hands. only 60 grams so tiny, yet still full of suckling demands. You say a prayer for correctness, and give the pup a kiss. Tears descend from your eyes, land on your collar bone. You think why, why continue breeding only to deal with death. You return to the others, hold one close and smell the puppy breath. Wagging his tail and slathering you with kisses warm and wet. You laugh as you put him down then realize 'better it does not get'. How do we spread the message? How can we close the doors? 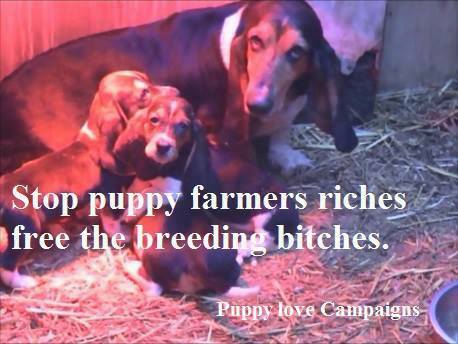 Of tin shacks, barns and squalor, housing puppy’s used as whores. And councils turn a blind eye as the KC dam despairs. Her limbs are bent and twisted from hereditary disease. Her coat is sparse and matted, her worn body crawls with fleas. And councils give the thumbs up to the state the dam lives in. She freezes through the winter; she’s scorched by summer’s heat. She paces, spins, she stumbles, she bleeds, she hurts, she cries. And councils sign a licence; hence the dam curls up and dies. And councils signed the warrant for that dam’s distress. To those who sourced their puppy from “Pre-loved” or “Gum tree” ad’s. You tallied with the devil. You played host to currents fads. And thus you oiled the cogs that drive the puppy farmer’s scam.